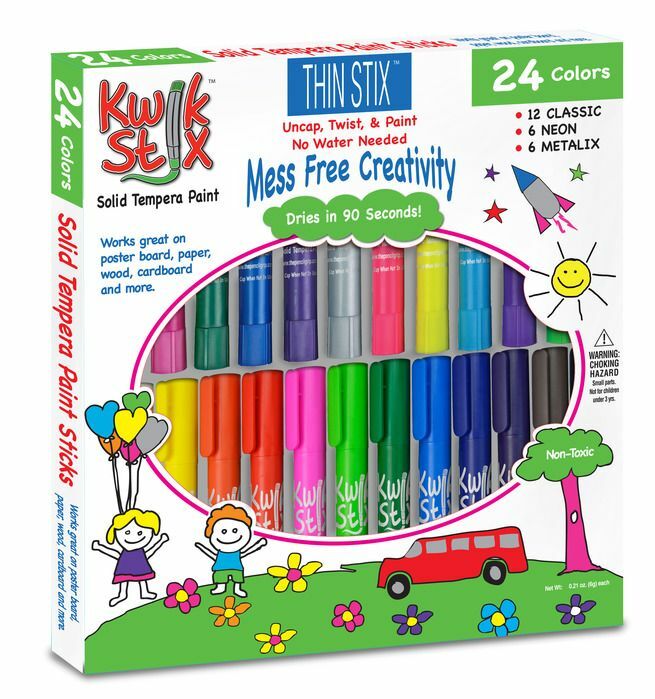 My kids love Thin Stix and Kwik Stix by The Pencil Grip, Inc.. When the opportunity became available to review the Thin Stix Creativity Pack it was an unanimous yes we are interested! We were first introduced to The Pencil Grip, Inc. last year when we reviewed a 12-pack package of Classic Kwik Stix as a part of the Homeschool Review Crew. My kids fell in love with them! They have since been an art staple in our house! The Thin Stix Creativity Pack includes 24 Thin Stix pens with solid tempera paint in them. The pens capped are approximately five inches tall and a half inch in diameter. There are 12 classic colors, 6 neon colors, and 6 metalix colors included in the creativity pack. The best thing is the paint dries in 90 seconds!! Thin Stix works great on many mediums including poster board, paper, wood, cardboard, and even rocks! Thin Stix allows mostly mess free painting a win, win for both parents and kids! I have found myself saying yes more when they ask to paint. No more worrying about cups of water or paint spilling or rinsing out paintbrushes. Clean-up is quick as well. Just double check that the caps of the pens are securely on, put them away, and a do a quick wipe down of the table, if needed. This time we decided to use the Thin Stix a little differently than we have in previous reviews. We decided to paint rocks! Painting rocks and leaving them in various locations in the community has grown over the past year. Friends and family spend time together painting rocks, hiding them, as well as finding them. Finding a rock unexpectedly can brighten up a day. Local social media groups have popped up for sharing rocks that have been painted, hidden, and found. When we were selected to review the Thin Stix Creativity Pack I was looking for something different to do for the review than our usual of drawing pictures. Then I remembered the bag of rocks that I bought from our local home improvement store that were waiting for us to paint them. When I suggested using the Thin Stix paint pens to paint rocks the kids jumped all over the project. The kids had fun deciding what to paint on their rocks. They painted rainbows, crosses, people, ladybugs, chocolate chip cookies, polka dots, wrote things such as “Jesus is my Savior” and more. The paint dried within 90 seconds just like it does on other mediums. When we have used the paint pens in the past to draw and color pictures it was mess free. However, this time some of the paint did get over my kid’s hands, mostly on the youngest two who are five and four. It was from them twisting the paint too high on the sticks as well as handling the rocks before they were dry. However, it is nothing like when we paint with other paints which gets all over the place, including clothes. Here are pictures of our completed rocks. We have enough rocks painted to keep us busy hiding for a while. Even with the large number of rocks that we painted, there is still plenty of paint left to paint more rocks! If you have never tried Thin Stix (or Kwik Stix) I highly recommend picking up the Thin Stix Creativity Pack and giving them a try! You will not be disappointed! They make great presents and stocking stuffers! If you would like to see what my children have done in previous reviews please check out Kwik Stix Review #1, Kwik Stix Review #2, and Thin Stix Review #1. 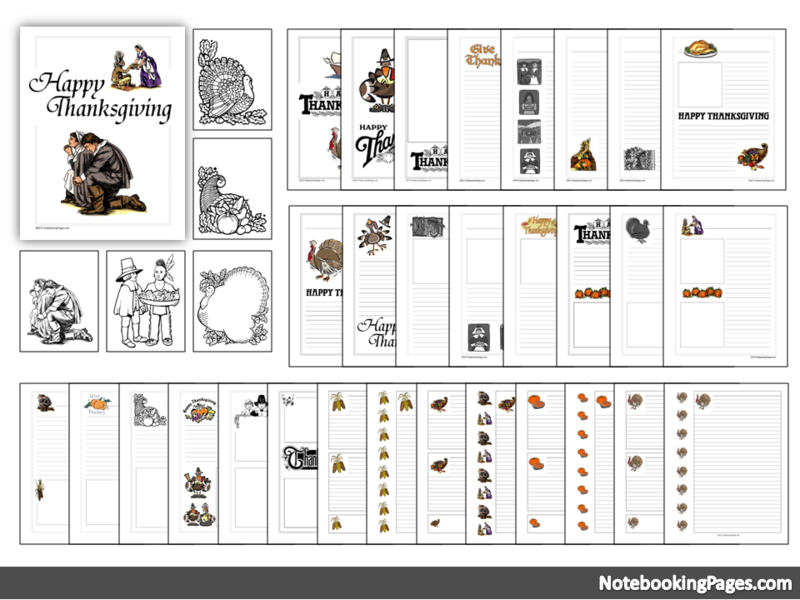 Please click the banner below for more Homeschool Review Crew Reviews of the Thin Stix Creativity Pack by The Pencil Grip, Inc. Excellent review for a product i am sure will bring hours of fun. Would be perfect for painting rocks! !